Bypass Network Services Limited (BNSL) announced today that agreements have been executed for the international expansion of Global Mode® into two new countries. Global Mode® is the world’s first wholesale geo-unblocking solution. BNSL first launched Global Mode® in 2013. The high uptake of Global Mode® is due to a differentiated commercial model, which has accelerated the company’s decision for expansion into two new territories. BNSL chose the new European region as their first area of expansion because of the similarity in consumer and importing legislation. In parallel, BNSL was approached by another ISP in the Asia Pacific region where the debate between piracy and consumer rights is being waged by ISPs and media lobbyists very publically. Neither ISP has launched, and as such wish to remain private at this stage. “We don’t think the internet was designed to stop people from surfing websites globally. Global Mode® enables ISP networks to provide an open Internet experience.” says Patrick Jordan- Smith, Co-Founder and Technical Director, “We believe open Internet access drives economic growth though the digital economy.” BNSL has been a vocal proponent for Net Neutrality. It’s founding principals are based closely on the OCED goals for an open Internet. BNSL provides PaaS products for residential Internet service providers to rapidly capture market share & reduce churn through differentiating their offer in a competitive market. BNSL invented a new way for customers to stream online content via their ISP. 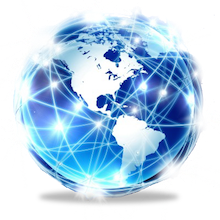 Global Mode® is the world’s first wholesale geo-unblocking solution.